My favorite time of year is farmer's market season. My family enjoys fabulous fresh food and my food budget gets a break. We all feel healthier, look healthier, and my bank account looks better too. What could be better than that? But did you know that even if you don't go to the farmer's market, if you buy at your local greengrocer or even supermarket, buying seasonally can save money because even chain grocery stores buy local products on a seasonable basis. Most supermarkets source things from the local market first, to find the least expensive items. Local items are less expensive because they don't have to use as much fuel to get it to the final location. With fuel prices closing in on $1.60 per litre, and higher in some areas of the country, transportation cost can add quite a bit to your grocery bill. During the season for any typical produce item the supply is going to be greater than the demand due to the fact that produce does not last forever. Try shopping at several different grocery stores to find out what they've over stocked and are trying to move from their shelves. Another benefit of buying in season is that you'll get foods that are more nutritious causing your body to crave less food, therefore cutting down the cost of food. It's a fact that nutrition, rather than fullness, dictates how fast you get hungry again after eating a full meal (I'm sure you've heard the old "had Chinese for dinner and was stuffed full, hungry again an hour later" tale). It just makes sense to buy in season to save money because you're going to need less of it to be satisfied. Any fresh item that has been shipped 2,000 kilometres to your store isn't going to have much in the way of nutrition left, not to mention taste. If you purchase something fresh at the supermarket, then don't eat it because it doesn't taste good (tomatoes often have this problem) then you're just wasting your money. 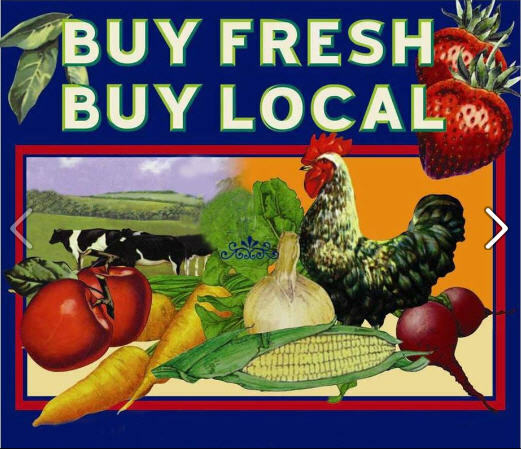 When you buy local, in season, you are supporting local farmers and therefore supporting your local economy. The more people who do this, the less expensive the produce will become. Local farmers will grow more to accommodate the demand, and soon, the prices will go down as well. And lastly, seasonal produce just tastes better. Fruits and vegetables eaten in season taste better than produce eaten when it is not in season. There are many factors at play including picking unripe produce, then shipping it thousands of kilometres away while it ripens. You'll be shocked at how good your local, in season produce tastes compared to what you normally buy. It's healthier, cheaper, and simply yummier to eat local, seasonal produce.